Bored of your plain old T-shirts and looking for DIY shirt ideas? Or are you creating new designs for modified T-shirts to sell on sites like Etsy? 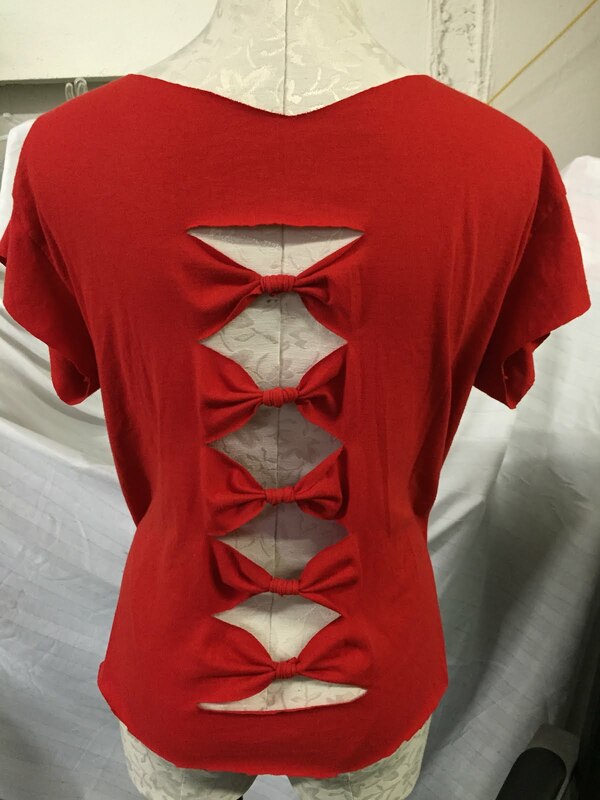 There are hundreds of ways to modify your clothes, but there are also hundreds of bad ways to modify your clothes! But let's be honest. Plain old t-shirts that you never wear are pretty boring. So don't be afraid of making a mistake and ruining a t-shirt that you never wear anyway. Here, we've listed a whole bunch of ways to spice up your old tees and create something brand new and exciting. 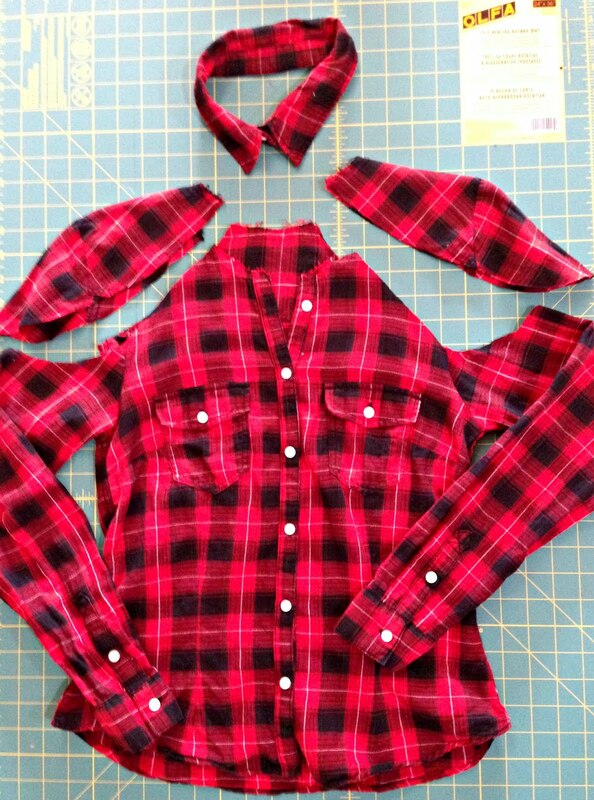 Read on for some of the best DIY shirt ideas we could round up. 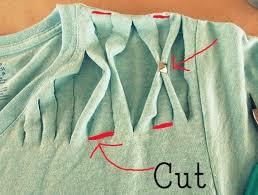 There are some really easy ways to customize shirts with just a pair of scissors. Cut an old t-shirt all the way from behind the shoulder stitching down to near the waist - but not all the way down, or you'll just end up with a hole! Now you've got a sleeveless vest. Or cut the sleeves and midriff to make a crop top. Depending on the look you're going for, you might want to tidy up the cut areas with needle and thread to make a new hem fold. For some casual designs like crop tops or sleeveless tees, you might prefer to leave the edges rough. You can also have a go with a knife on your old tees. Place cardboard or other protective material in the body of the t-shirt, and turn it over so you're looking at the back. Make vertical or horizontal cuts to open up the back of the tee. There are loads of ways you can do this that will look brilliant. You can try making cuts on the sides of the tee and looping the fabric or tying certain points together to create new effects. You might also want to progress to creating similar cuts on the shoulders or experimenting with patterned cuts. There are loads of good ideas to be found on Pinterest and other websites if you're stuck for inspiration. But we recommend that you simply let your imagination run wild with DIY shirt ideas! One really cool set of DIY shirt ideas involve cutting fabric and then re-using it elsewhere. To be fair, this is harder with tees. But you can still get results. Cut open the back and front of the tee, and dispense with the sleeves. Now tie the ends together and you've got yourself a shrug - or a scarf, depending on how you decide to do it. If it all goes wrong, you can save the day by making more cuts and turning it into a tank top! Or you can achieve a basket weave by taking horizontal strips from the back of a t-shirt. Then weave them back, in and out of the remaining vertical strips to create your weave effect. For a funkier and more colorful look, why not take horizontal strips out of two different tees and then weave them into each other's gaps? But have you got some old clothes with collars in amongst those old tees? Try out this very stylish re-purposed 'bow' blouse. We think it looks fantastic. Here's a great idea - use materials which are already patterned, like crochet doilies, and fit them to holes cut in your t-shirts. This is a great option if you don't have such a steady hand when cutting out shapes, though we'd urge you to give that a go too. You can also pin lace trimmings, or similar items, in place to create capped sleeves. Other decorative lace pieces can be used elsewhere in your DIY shirt ideas too, such as the bottom of t-shirts or the ends of the sleeves. If you're looking for an edgy image, why not try using studs and cuts to make more pointed patterns? Lattices look great when offset with small studs, so be sure to try it out. Or set studs into a pattern or image on the chest or back of the tee. Alternatively, cut slits in the back of the tee and then lace the back together - try using wide and slim ribbons to see which you prefer. You might also try adding eyelets and threading them together to create a similar, but more refined pattern. Got some plain old white or light-colored tees that haven't seen the light of day for years? Maybe it's a little cliche? as far as DIY shirt ideas go, but tie-dye is also a summer classic that's really easy and fun to make. And seriously, would you rather spend $550 on a Gucci tie-dye shirt? To tie-dye a shirt, first give it a good wash. This removes any dirt or oils caught in the fabric. It's best to handwash the tee, and wear gloves while you do this to avoid grease from your hands getting onto the shirt. The rest of the process is a little easier to explain by showing, rather than telling you, how to do things. So you might find this video guide helpful for the process, and it might inspire you as to the colors you'd like to choose. 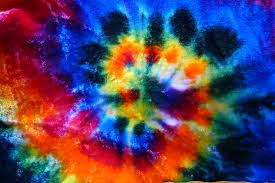 You can use several tie-dye colors if you like. This achieves a really cool, multi-color effect. Or you can keep it clean by just picking out one great-looking dye. Before you pick, think about what the contrast will be with the fabric's color. Combos like purple and orange aren't always great together! And remember, the way you tie up the shirt before the dying process will affect the pattern you end up with. If you have a few tees, why not experiment and see what you come up with? Band tees are almost always in vogue, especially among music lovers. Have you thought about self-printing your own band t-shirts? Sure, homemade efforts may not conjure up the memories of being at a specific gig. But if you love a band, why not express that love by stamping or painting their logo on an old cotton tee? 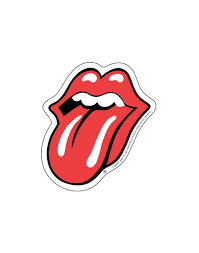 Using iconic band logos like the Rolling Stones' tongue motif is a surefire conversation starter at a party. Especially if you've put the effort into making a homemade version. You can use rubber stamps to achieve the desired effect. Or have a go at stenciling or painting some of the more basic designs - like Black Flag, Van Halen or Nirvana. Or if you're skilled with a brush, why not try something more tricky? And while we're on the subject of bands, you might also try out some DIY shirt ideas which replicate famous artists' styles. After all, they're often fashion icons too, not just rock stars. Screen printing is nothing to be scared of. It's really a lot of fun. You could even set up a screen printing station in your home or garage once you've had some practice. Once you've chosen a design, you need to follow the process carefully, or you could ruin the print. Be particularly observant about when you need to keep the screen light or dark, as this is essential in the printing process. Need DIY shirt ideas for screen printing? Logos are sometimes created this way, as they often have strongly defined lines. Other illustrations with well-cut edges (like these cute robots) will work well too. This is a great technique to use if you need to make lots of identical shirts. For example, you might be selling a design online, or you might be preparing shirts for a stag party. 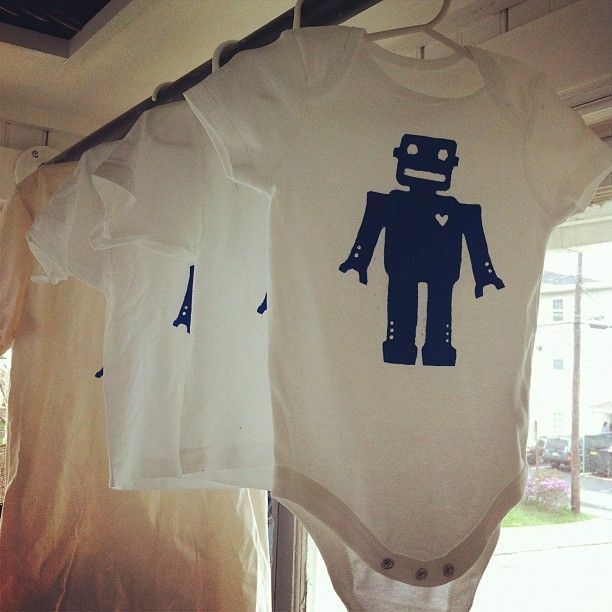 Whatever the purpose, screen printing is a fun way of getting the results you need. If you don't have the patience for screen printing, you could just use a stencil template and some bleach with a dark t-shirt. Very carefully spray bleach onto the shirt, through the stencil. It's wise to cover up the rest of the tee and use a layer of cardboard to protect the back. You should only attempt this one in a really well-ventilated area, with a mask and goggles. If our DIY shirt ideas didn't make you want to make your own, don't worry. We've got loads of old-school tees, as you might have guessed from our name. In fact, right now we're selling t-shirts for as little as $5 each, as well as loads of awesome retro brand t-shirts which are always a favorite. Have a good browse of our shop and pick out the ones you like best. With hundreds of designs to choose from, we're sure you'll find at least a few you'll love. We're confident that you'll never be disappointed with the quality of our wares. But if you decide that you like another design better down the line, we'll also exchange items without a fuss (though you'll have to cover postage). Of course, you could just buy both! Give us a shout if you've got any questions.